"It might sound cliché, but music is one of the things that really make this city." 8 p.m. Sun., June 24. 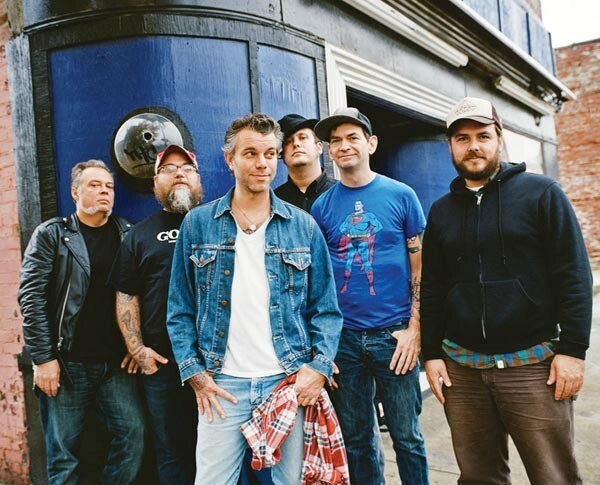 Lucero has bridged the divide between laidback alt-country and punk rock — and maybe even emo — for more than a decade. The Memphis-based band recently released its latest full-length, Women and Work, on ATO; bassist John C. Stubblefield spoke with City Paper about Memphis and the road. You come from a city that has a lot of musical history. Did you listen to a lot of Memphis-based bands growing up? Absolutely. There was a pretty big scene here as a kid. My folks took me to see everything from bluegrass stuff to blues bands at Memphis Slam, sitting on my dad's shoulders. We had a pretty big punk-rock scene as well. There was a place called the Antenna Club in the midtown area, where we were all from. That's where I first met Brian [Venable, Lucero's guitarist] and Roy [Berry, the drummer], at all-ages matinee shows. I started going there when I was about 12 years old. It might sound cliché, but [music is] one of the things that really makes this city. This whole album is kind of an ode to that. It seems like everyone knows you for touring a lot and playing a lot of festivals. How do you deal with all the rigorous touring? At this point, it's a way of life. After 14 years, sometimes it's more of the opposite: How do you deal with life at home? We've gotten to the point where we feel like the road is our home, and we have to get on the road to get some rest and a feeling of normalcy. On the tour you're about to start, you're playing a lot of diverse shows, such as Orion Music and More and the Hootenanny Festival, headlined by Rancid. Do you feel a distinct difference in the reactions you get from different crowds? Where we started from, playing punk-rock shows, we started out being the odd man out on the bill. It still happens. We cross paths with the guys from Mastodon all the time, they're big fans. Brent [Hinds, Mastodon's singer/guitarist] sits in with us sometimes. This past year, we've been hearing that Metallica are fans, and we've said, "No way, you're pulling our leg," but now we're playing the Orion fest. One of the things I love about playing in this band is that you've got the punk-rock kids and the normal kids, and you've got parents and kids bonding over music. There's all these different people that never hang out together, and they're all getting along. It seems to be translating well. How has Pittsburgh treated you over the years? Every time is a new adventure, for sure. Last time we were at Mr. Small's, we found out that the catcher for the Detroit Tigers was a huge fan of ours from Arkansas. They were in town for a stand against the Pirates and about a dozen of the guys from the team showed up at the show. We were keeping them calmed down and undercover about who they were.